Forget all about having an extra long lie in tomorrow morning, you need to be up, fresh and ready to hit the ‘Enter’ button for the 2019 Hope PMBA Enduro series. 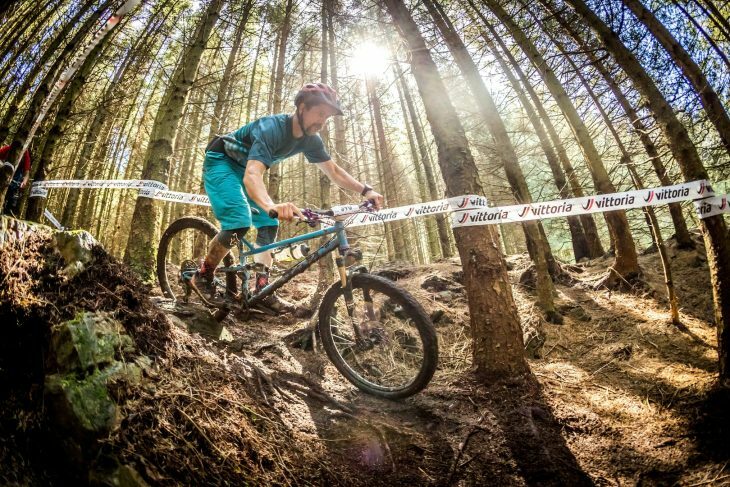 The popular racing series returns in 2019 for the 6 years, with stages being held at Gisburn, Graythwaite, Lee Quarry and Havok bike park, Llangollen, Kirroughtree and Grizedale. Entries go live tomorrow morning, 17th November, at 9am. If you missed out last year then you’ll want to be sure you manage to get an entry this year, but keep in mind that 2018 sold out in just over 7 hours so no hanging about..
“The Hope PMBA Enduro series returns in 2019 with 6 rounds, the events have been running since 2013 have always been popular and when entries open [Tomorrow / Saturday 17th at 9am] we are expecting some rounds to sell out in a mater of hours, especially the early ones. Last year it took just 7 hours for round 1, and a week for round 2 to sell out. So if you want in you’re advised to enter ASAP. 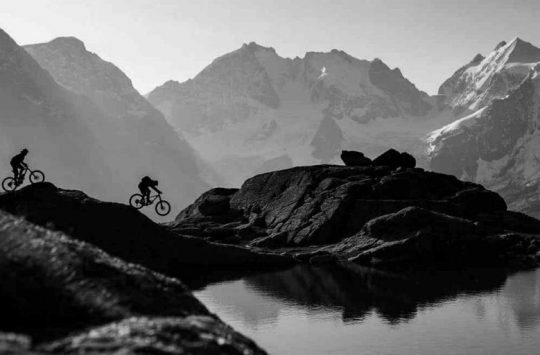 Our philosophy is “Enduro for all, with an emphasis on fun” and to meet that we have a varied range of events to suit all types of racers. Ages 11+ can compete, with all under 16’s needing a chaperone as well as a diverse range of events. From grassroots mainly trail centre stuff at Gisburn, to the techy steep gnar of Graythwaite and everything inbetween. This isnt a series of similar events, each has its own style and we’ll change formats to whatever works best at a venue. The series has always had a round at Kirroughtree in Scotland, out of the core North West area that is home to PMBA managed venues at Lee Quarry and Gisburn Forest. 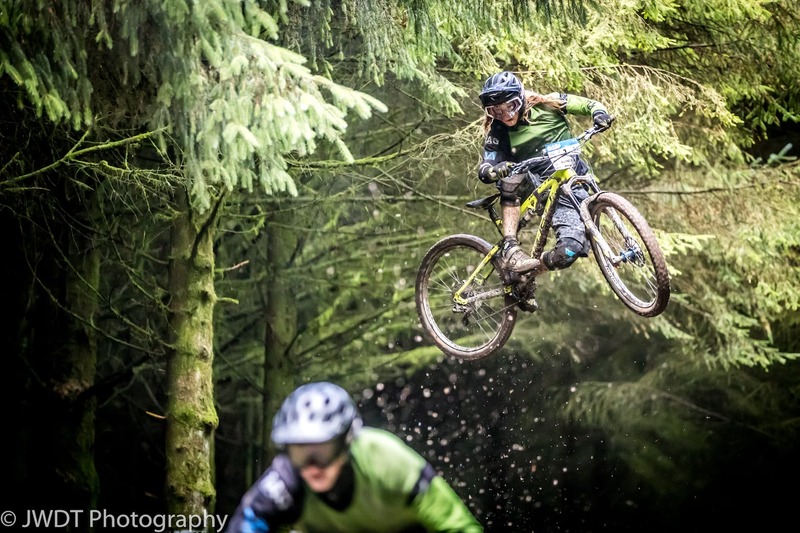 In 2019 the series expands also into Wales, and visits what many regard as the best DH trails in the country at One Giant Leap Lllangollen. 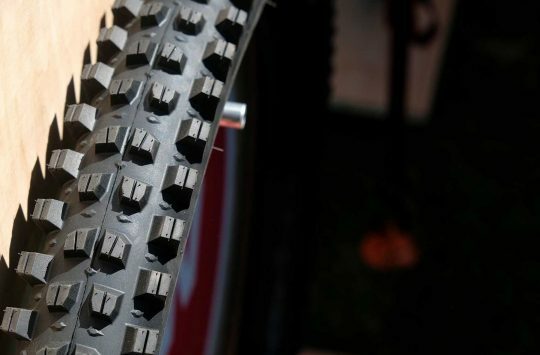 This addition will also mean that PMBA Enduro organisation is the only one organising events in all 3 of the home countries, although we aren’t claiming to be a National series – we’ll leave that for BEMBA with the new BNES – more about that later! As is tradition the series opens at Gisburn forest, although this year starting in April rather than March hopefully for better weather. A great enduro to ease you into the series, or for novice racers to start at. Expect a mix of trail centre with a selection of off piste stages. 1 day event. Round 2 is the big one, our “Epic” at Graythwaite, a private estate with 100% off piste trails held over 2 days. We’ll hold our hands up and say last years was a little too hard and that dampened the fun, but we’ve learned and tame it down a little for 2019. Its our favourite venue, with a great rare arena and epic Lakeland views, in fact his round has some of the very best views of the whole series, even some of the best views available in the lake district. Camping included within the picturesque grounds of Graythwaite Estate this is a great weekend away We’ll have new fresh stages to add to the awesome trails we have built over the past 3 years. Also expect a spectacular finish arena, with camping, catering, showers, water & marquee with a bottle bar thanks to Kirkby Lonsdale Brewery. Priced at £75 it may be our most expensive event but the trails, views and facilities are worth splashing out on. 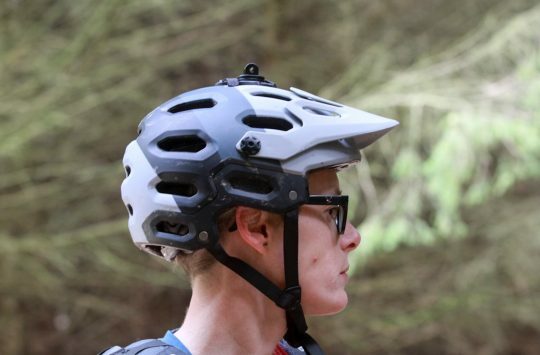 Here seems a good time to expand on BEMBA (British Enduro Mountain Bike Association) news, and some extra category standardization that has been agreed. Enduro has had different categories with different organizers in the past, and with the cooperation on BNES we have also had cooperation on standardising the categories. There will also be a BNES & PMBA Team championships! Any size team and any gender but, best 3 scores across all 9 cats with only the best points position in any single category counting. We hope this will encourage teams with diverse ages and genders to compete. Team members may change between rounds and each rounds points totalled for the series positions. . Best 4 results from 5 to count with the series final compulsory just as with the individual points series. It is vital that when you enter all your team have identical team names. Continuing with Information on the PMBA Enduro series after we host the BNES round as part of our series we move to the only other 2 day event in our calendar; Lee Quarry and Havok Bike Park. A big loop of just over 20 miles includes a big moorland transfer taking us over to the ever-popular stages we have at Havok Bike Park. Popular with DHers crossing over to Enduro with the stages at Havok and overall one of our most airborne enduro’s for those that want air, while still being popular with XC crossover racers due to the natural singletrack loop and fully rollable timed sections. This really does have it all, and falling on midsummers weekend it will hopefully be bathed in sunshine too. The second half of the year is all one-day format events; and round 4 is new to us as in August we hit Wales and take over One Giant Leap Llangollen for the weekend. 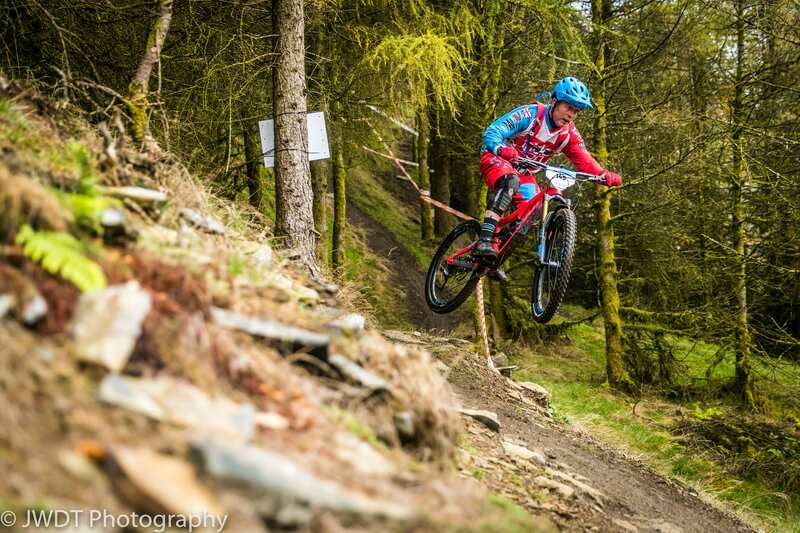 Praised as one the leading DH venues in the country, and we’ll be turning it into a Enduro venue for the weekend. We’ll have some new built sections enabling is to run multiple lines at the same time. We have always said that we’ll change formats to suit a venue for this round we’ll be running a 3 stage “Mash-Up” format, similar to how we ran Gnar Bike park. Do the stages in any order! Its a great camping field, especially for mid August it should be stunning weather to match the stunning scenery. £49.50 including parking/camping. From Wales to Scotland for round 5 at Kirroughtree, this is our “family round” with great camping facilities, permanent showers and toilets and a course that’s just pure fun. What the venues lacks in elevation it makes up for in loam & bedrock. Each year we return to find that the team from the Breakpad bike shop have built us new stages with virgin loam. We still reuse some classics, mixing trail and off piste sections for a selection that can be enjoyed by all, the stoke meter is always on high here. 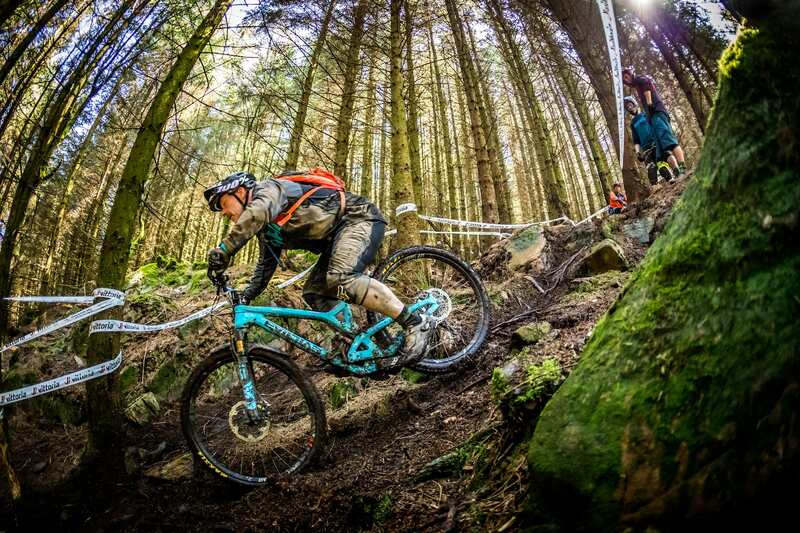 A grass roots round that the fastest also enjoy, it has everything an enduro should have and has become an unmissable round of the PMBA Enduro series with many calling it their favourite. Often racers will bring the whole family, as the idyllic camping area and permanent brick shower/toilet block gives a holiday vibe; enhanced by the smells from many BBQ’s in the evening. Late in the year, September is not overly problematic with the midges either – but still come prepared! Round 1 sold out already, round 2 nearly gone!